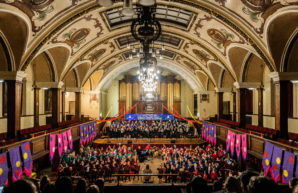 Nearly 1500 local school children came together to perform five concerts at The Ashton Hall as part of the 2019 Lancaster and District Schools’ Singing Festival. 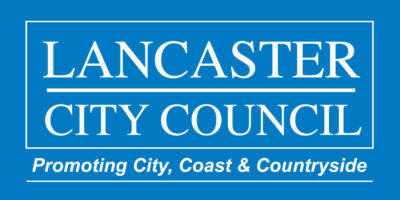 The children aged between five and eleven from 29 primary schools in Lancaster, Morecambe and the surrounding districts, entertained their families and friends as well as local dignitaries including the Mayor of Lancaster, Councillor Roger Mace, Councillor Lizzi Collinge, County Councillor for Lancaster East, and the Parliamentary candidate for Morecambe and Lunesdaleand Councillor Darren Clifford, Cabinet Member for Culture, Leisure and Tourism with newly composed pieces, pops songs and songs from around the world. In addition to the wonderful singing, the Festival was able to showcase the talents of four talented young musicians: David Whyatt and Sam Gould on saxophones and Charlotte Burrows and Caleb Connolly on trombones. The audience were also treated to a short performance by Colin Parsons MBE, who brought the wonderful Ashton Hall concert pipe organ to life with popular music. Colin is the founder and Chairman of the Ashton Hall Organ Restoration Project and Save Our Steinway community action group. The Festival started over 70 years ago, following a bequeathal for local schools to use the Ashton Hall for one week a year to promote singing in schools. Five years ago the Lancashire Music Hub and More Music started engaging with the festival, and since then there has been a significant increase in the number of schools and children taking part, with 2019 representing the largest festival to date. The Festival project is led by Debbie Pilkington, Chair of the Organising Committee, who conducted the Key Stage 1 concerts on 18thand 21stMarch, supported by Emma Williams, Singing Leader for the Lancashire Music Hub, who also conducted the Key Stage 2 concerts on 19th, 20thand 22ndMarch. “I think the music festival has an enormous benefit for the children in many aspects. I feel as though they feel a real sense of local community by representing their school at such a young age and also, being forced out of their comfort zones by performing with other children from the local area. They can then see ‘the bigger picture’, as it were, as they realise that there is more to Heysham and the surrounding area than just Mossgate. The festival has recently involved More Music, allowing the children the opportunity to perform with a live band. I think only a small handful of them will have this opportunity again in their entire lifetime! The venue itself lends itself to the occasion and it must be a proud moment for parents to witness their child performing there. One of our current staff members still remembers her own performance in the music festival with great pride some 20 years after the event!